Beachfront - Located approx. 1.7 miles west of Hwy. 59 in Gulf Shores. The following information is provided by Steve Warren, RE/MAX of Gulf Shores and Orange Beach, 1 800 686-4005. 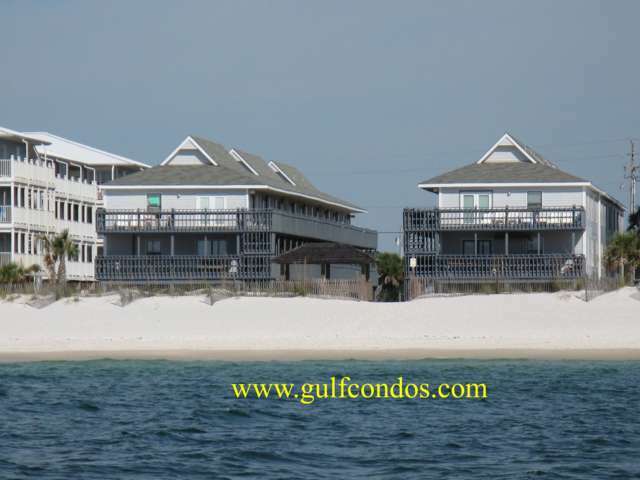 This complex is on the beach side but does not offer any beach views. There is a gazebo on the beach and covered parking is available.